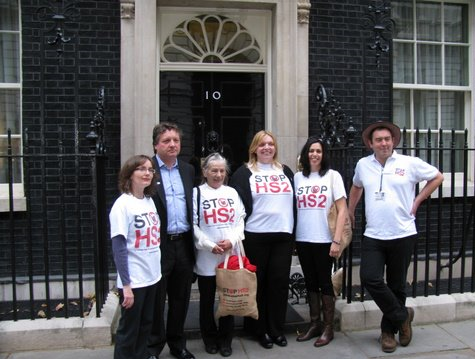 Today Hillingdon and Ruislip Against HS2 were proud to deliver the Stop HS2 petition to Number 10 Downing Street. There are 108,000 signatures on the petition and many were collected in our area. The petition has helped secure a backbench debate in Parliament on Thursday, we will be outside raising awareness of the flaws in the case for HS2 and supporting the MPs who are brave enough to speak against this vanity project on Thursday. We’ll be there from 10.30am so come along and join us in Old Palace Yard.